Aside from the day that we first decided to withdraw our children from the public school system, the thing that most brought fears and concerns was whether we would be able to successfully homeschool through the high school years. I found that a lot of my fears were released as I started developing a plan that would work for each of our children. Today, I will share with you some of the things that we do as each of our children begin to embark on their high school years. Think of the Specific Child – All of our children are not cut from the same cookie cutter. We can look back to when they were little and how they each reached different milestones in different ways and on different schedules. This will be true of navigating the high school years as well. I strongly believe that God has already instilled in each of our children gifts and talents that He will use in the coming years to His Glory. Rather than working against this natural wiring, the goal is to develop these areas with confidence that they are part of the great plan and purpose for our child’s life. It requires taking time to put aside our preconceived notions of what we want them to be or do and really seek what God wants for them. Discuss Goals and Plans with Your Child – By the time your child reaches the high school years, he or she will be old enough to have started forming his or her own dreams and goals. It is important to remember that this is their high school education. As a parent, there are insights you can share and advice to be given. However, the earlier that your student takes ownership that these are their high school years the better. It is not Mom and Dad that will have to do the work or prepare for college entrance exams. These are their years to not just check off academic requirements, but develop greater independence, self-motivation, and goal setting. Being an active part of the planning for high school is a great place to begin. Become Familiar with Your State’s Requirements for Graduation – It is nearly impossible to know if you have crossed the finish line if you don’t know what it looks like. A critical piece is in knowing exactly what your state requires of your student for high school graduation. For many students attending college, a lot of their focus will be on college entrance exams and getting in the right classes to be accepted to the college or university of their choice. More fundamental, however, is being sure to meet the minimum graduation requirements for your state. I was able to find the requirements for our state simply by using an internet search engine with the words “Kentucky High School Graduation Requirements”. A copy of our state’s requirements can be found here. Determine What Colleges are Looking For – It is always better to err on the cautious side. In this situation, I tend to plan that my children will attend either college or trade school after graduation. Generally, there are some recommended courses that should be taken in high school as well as minimum acceptable scores on either the SAT, ACT, or school specific tests. A great starting point is this grid of recommended coursework compiled by the Home School Legal Defense Association. Budget Time for College Entrance Exams – College entrance is a competitive environment for both gaining admission to the school of your choice and gaining as many scholarship dollars as possible. Success in this area usually requires that the student take either the SAT or the ACT multiple times with study time prior to taking the exam. Early selection processes mean that the student will ideally have had an opportunity to take the exam of their choice multiple times prior to the end of the Fall Term of their senior year. We have had our children take their first exam at the end of their sophomore year to get a feel for where they are at. During their junior year, focussed study time is built into their normal academic schedule to continue boosting their scores in areas needed. The exam is then retaken at the end of the Junior year and periodically during the Fall semester of their senior year as needed to obtain the score that they have set as their goal. More information can be obtained about the SAT at here and ACT information can be found here. Start Filling in Boxes – As we begin the high school years and maybe even some high school work in the 8th grade, we look at the plan and develop a grid of what needs to be completed for graduation. As a course of either a half or whole credit is completed, we fill it into the grid with the grade that was achieved. I look to use an Excel Spreadsheet for this purpose, but is can also be easily done on paper and kept in a file folder. Whichever way you choose to keep your records, be sure to include any awards, volunteer service, work experience, and extra curricular activities. Each of these elements may be key as colleges starting awarding scholarships. It is also a great thing to review as your child’s overall achievement during their high school graduation. Don’t Be Afraid to Change Course – Our second oldest initially thought she wanted to pursue further education and a career in agriculture. During her first two years of high school, she completed coursework in Agriscience and Horticulture. At the end of her sophomore year, her thoughts changed with her heart leaning more toward a career in physical therapy. We have switched gears to fit in Biology as well as Anatomy and Physiology. She may choose to double up on her science credits during her senior year and add in Chemistry. That will be a decision we make shortly. If so, either Horticulture or Agriscience will still be ideal at filling in an elective credit hour. There is always flexibility as your child works out her plan for the future. Remember the Child – As you consider the journey through the high school years, it is important to remember that your child is a person and not a machine. It is great to have a wonderful academic record, but your child will not only be navigating more advanced coursework. They will be facing challenges in developing relationships, dealing with hormones that are all over the place with the onset of puberty, pressures to succeed or to even figure out what might come next, and also develop Godly and mature character in many other areas of their lives. The teen years are jammed packed with much more that makes up your child than just the academics. In closing, I want to encourage you that a plan is meant to be a guide or map and not the Law. Flexibility and grace are needed as you and your child grow during these years. Ultimately, these high school years belong to your child. You can lay out a great plan, but it is up to them to work the plan, stretch themselves into areas of growth, and to continue making choices that help them rather than hinder them. This is part of their training up. At the end of the day, it is challenging to separate your worth as a parent from your child’s academic achievement. My greatest challenge to you is in making sure that your relationship with your son or daughter is kept in greater value than their academic success. This can be challenging as both of you feel the pressure to prove that homeschooling works and realize the weight that these years can have on future plans. But is the academic success worth losing your child’s heart? Cover these years in prayer and trust that the Lord will give you the desires of your heart in both the academics and the relationship. And after your pray, just keep doing the next right thing! 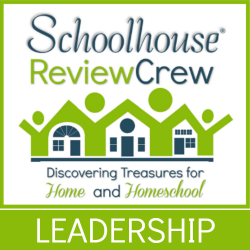 I encourage you to visit some of the other blogs from the Review Crew that are participating in the Homeschooling Through High School series and have also prepared their thoughts on Planning the High School Years for Your Homeschool. Debra over at Footprints in the Butter asks: You mean I have to PLAN our Homeschool High School?!? Just What Do You Do with Elective Requirements?